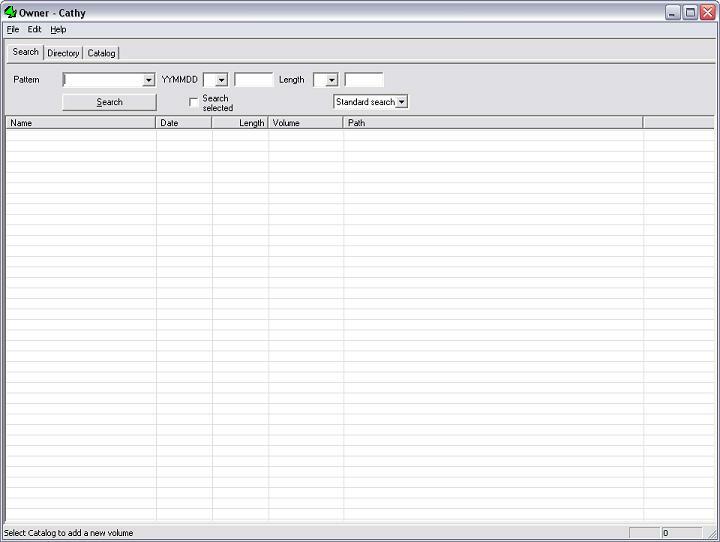 Cathy is a simple media cataloging tool. Files stored on removable media can be found quickly and easy. Duplicates can be found. 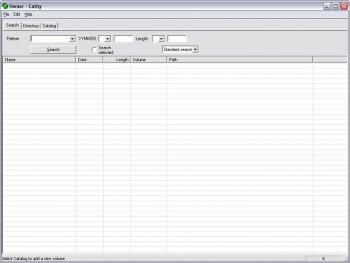 Searching capabilities are based on file name, date, and size. Customizable date format. Found files can be opened or deleted directly. Nice tool, one of the best. is there any other s/w that is simple to use and free .. - such as this one..
(to catalog CDs and DVDs with music albums mp3s in them etc)? Excellent little program, especially useful if you have a large collection of discs. Allows you to quickly search your CD/DVDs, without having to wait for them to spin up in the drive. Very easy to use, but you do need to download the help file from the authors site, to realise all the program features. This is very fast and useful application. The usability features are much higher than other disk cataloging softwares. A very nice feature is that it can produce a text file list of the scanned directories. Very fast & efficient. I have some trouble specifying some directories in the ignore list, though. I've found this a very handy program. Major benefit - it's quick & uses next to no resources. Good for cataloging - you can see easily if you've already got the one you're just about to download. Other catalogers have more features such as storing tags, but if you just want a searchable list of what you've already got, this does the job fine. It looks no-frills, but it does what it is meant to do - catalog your files. Been using 2.18 for about five months and am very pleased with this program. Cathy is simple and intuitive and works as advertised. 'Nuf said. nice if there is a directory-only option..now i used the filter "*. *" as workaround... lean and fast... even better if the catalog files is in text or xml format instead of binary... thanks for your nice prog!! A very nice and small program to catalog own medium. It's so small that it fits on a 1.44MB disk.